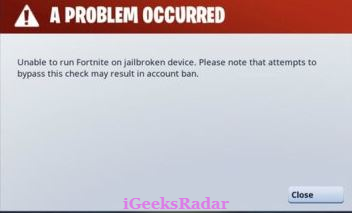 “Unable to run Fortnite on a jailbroken device. Please note that attempts to bypass this check may result in account ban”. 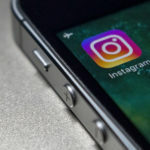 However, some jailbroken users have reported that even after the update they weren’t kicked out of the game and neither they received any kind of error message. In this guide we are sharing with you certain methods through which you can bypass this latest jailbreak detection mechanism. 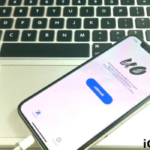 However, we don’t guarantee that any out of the provided methods will work for you as the new jailbreak detection mechanism is quite unpredictable. One method may work for some but might not work for others. Must Read: How To Install Fortnite on Unsupported OS Versions. [WARNING]: It is urged and strongly recommended that you don’t use your main account for employing any of the provided hacks. You can create a secondary account to test out the given methods. This way, in case the method doesn’t work for you, you are safe from getting permanently banned from the game. Please download the Fortnite Stealth Debian package from here. Please note that you require Filza File Manager for the installation of this Debian package. Using the above-mentioned file manager please navigate to the downloaded Debian package and tap on it. 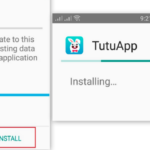 On the screen that pops up please hit ‘Install’ for the process to begin. Post successful installation please navigate to ‘Settings‘ of your iOS device and move to the settings of this particular installation. Inside settings of Fortnite Stealth you can choose the features you want and launch the game. 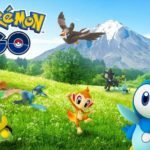 You will receive instructions as well with this hack’s pop-up menu inside the game. You can enable this tweak for Fortnite on your jailbroken iPhone/iPad and launch the game. Update: On Reddit thread, we found new bypass jailbreak detection tool and it’s still in beta mode, but it’s working absolutely fine. 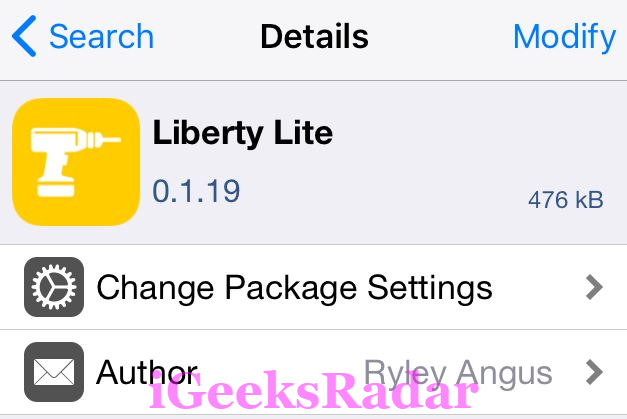 You can replace this Liberty lite with this new update “Liberta Lite Bypass Jailbreak Detection on iOS” to play all games including Fortnite game which is faving servere issues on jailbroken iPhone/iPad. So, my dear friends, these were the two ways through which you can bypass jailbreak detection DRM for Fortnite latest version. Please let us know in comments below if any of the above-provided methods works for you. If you want to ask any additional query or question; you are most welcome to the task. Please drop the same in the comments section as well. Fortnite Battle Royale Failed to Login PS4, XBox One & PC.